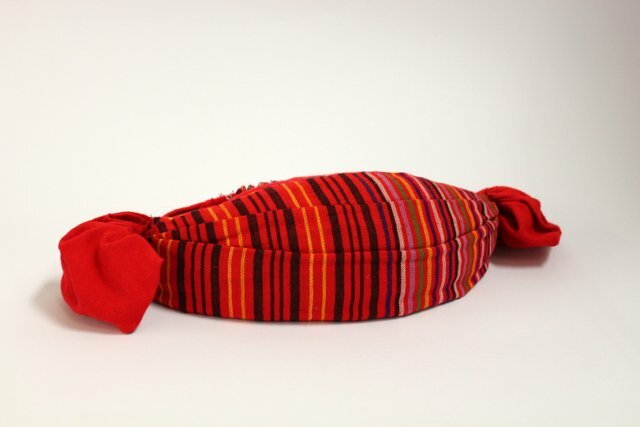 The headpiece of the Shan, the people of northern Burma and Thailand, consists of the stitched-together forehead headband and occipital headband, the front part being fairly thick and made ​​of striped fabric, while the back part is only a narrow strip of double stitched red cloth. 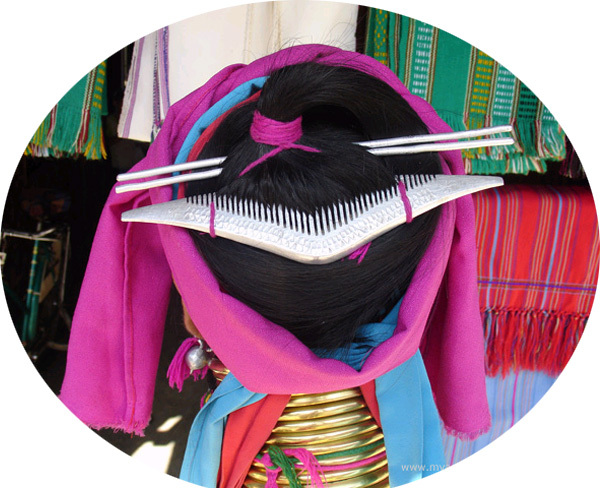 On the sides are lapels of the same cloth in the form of pompons. 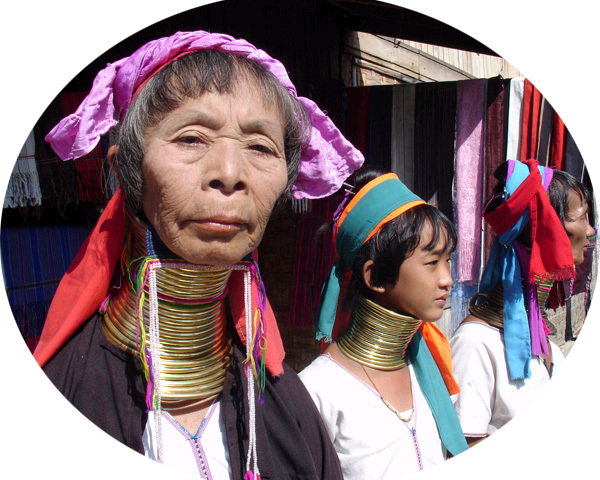 This piece – its ethnic name is unknown to me – is worn by the Shan men in Burma, their neighbors, the Karens often wear those, just like the "copper neck” Padaung (pictured).